War-date Autograph Document 1pp. 12mo., Bedford, November 28, 1778, addressed to Go. 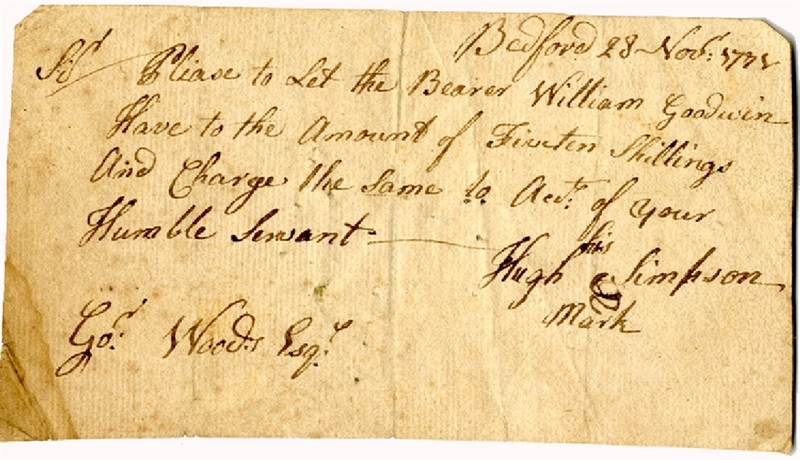 Woods, and reads “Please to let the Bearer William Goodwin have to the amount of fifteen shillings...” Issued by Hugh Simpson. Very good condition.